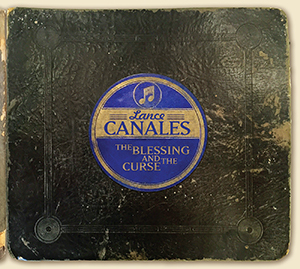 Lance Canales & The Flood are a roots-blues influenced Americana trio from California’s breadbasket, where Canales lived the life that so many songs have been written about since the birth of roots music ‰ hard labor, one room shacks and taunting ghosts whispering of a better life. Canales’ guttural vocals combine a hard-edged storytelling approach beneath a stripped down, foot-stomping, acoustic instrumentation. The Flood are made up of stand up bassist, Jake (Cobra) Finney and American Roots drummer (DB) Daniel Burt. Burt keeps the rhythm along with the crowd, as Canales, described on the blog ”Bound for Glory” by music Journalist, Robin Wheeler, ”plays hollow-bodied, anger-fueled blues guitar. He growls and stomps with his feet clad in the heavy work boots of his grandfather‰” Canales garnered a reputation as a child of being able to train wild horses and for years was forced to take his lumps in order to help his family make ends meet. It wasn’t until he confiscated an older sister’s beat up guitar and combined it with vocals he’d discovered in his mother’s fire and brimstone church that he was able to slowly carve a way out of the hard toil life with his music. While Canales may have left that life behind that life has never left his music. The bands 2012 released album ‘Elixir” is no exception. In the song ”Digging” a desperate man enters a church house where he finds a preacher screaming fire and hell. People screaming, running, crying, but still I felt no soul. Canales played solo for years until he began craving a fuller sound and energy to his music and enlisted The Flood. They’ve been together since 2009. After playing a gig at the Queens University in Belfast Ireland in 2009 the band was asked to play an impromptu set on the main stage of the Belfast Blues Festival. When they are not traveling, their music is making its way via radio on European stations and XM radio, as well as being featured on several stations at home in the states, including NPR.